Communications professionals understand that trending topics in mainstream and social media can have a profound impact on their ability to successfully convey key messages to target audiences. So the ability to predict big events and to tastefully inject a brand into coverage can be the difference between a news blackout or a significant uplift in awareness and reputation. Time Warner Cable has received praise for recognizing the upcoming United States visit by Pope Francis would dominate conversations in late September – and even greater admiration for launching a round-the-clock Papal Visit Channel. New York Times reporter Andy Newman called TWC’s initiative “a sort of C-Span for fans of the pope.” The announcement prompted an immediate and predominately positive response on Twitter from media commentators, religious organizations and others. Steve Paulus, SVP of news and local programming at TWC, will speak about the company’s planning and communications process for the Papal Visit Channel during a 3BL Media best practices webinar. 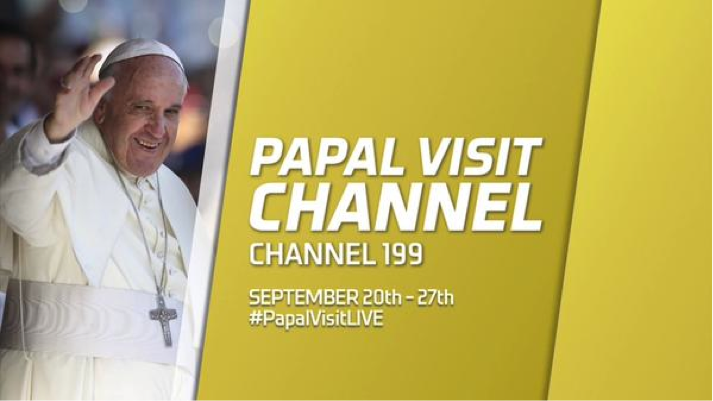 The event, “Behind TWC’s Papal Visit Channel,” will be held at 11 a.m. ET on Sept. 22, is free and open to the public. This webinar will help CSR and PR professionals understand how companies like TWC make corporate citizenship decisions, and how they communicate their goals and progress to key stakeholders. Paulus, who leads Time Warner Cable's local news division, will be joined on the webinar by Armon, who will act as moderator. A question-and-answer session will follow the presentation. Founded in 2009, 3BL Media is a corporate communications platform exclusively for the distribution of corporate social responsibility and sustainability news and content. Founded in 2009, the company works with corporations and non-profits to distribute multi-format media assets through social, traditional and new media channels. 3BL has grown organically and through acquisition, operating a network of focused, authoritative sites including CSRwire, JustMeans, SocialEarth, Ethical Performance and ReportAlert. Content issued by 3BL Media clients also appears on hundreds of thousands of Bloomberg and Reuters terminals.